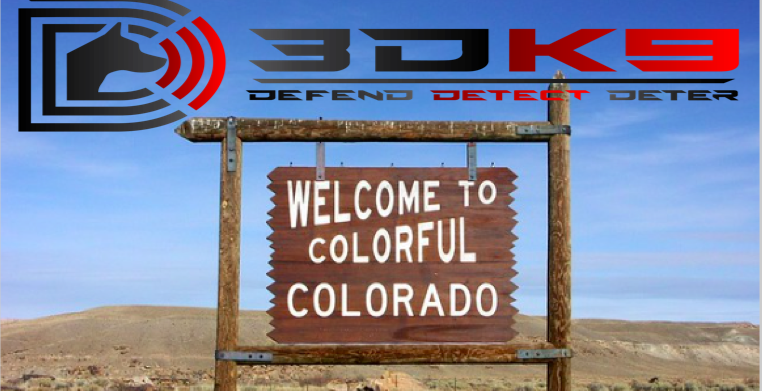 Drug Detecting Dogs and Bomb Detecting Dogs are excited to extend our services to the majority of cities in Colorado! Effective in 2019 we are providing drug-narcotic, bomb-explosive, and patrol K9 searches to most of Colorado. We can provide emergency K9 detecting searches for weapons and narcotics upon requests in every county in Colorado. Denver, Colorado and surrounding areas have the ability to get discounted rates for emergency services as well! Our K9s can search, sweep, sniff, and smell for weapons, explosives, narcotics, and much more. We encourage anyone interested in our product to reach out for a free consultation and possible free on site demonstration. Whether your looking for drug dogs, bomb dogs, or security dogs we can help in Colorado. We are excited to help keep the amazing of Colorado safe while protecting our communities from Drug Trafficking and Terrorism. If your school or business is not using Drug Detecting Dogs or Explosive Detection Dogs call now to find out how easy it is to start! We happily provide event security and K9 patrol for parades, events, religious gatherings, schools, and private security.